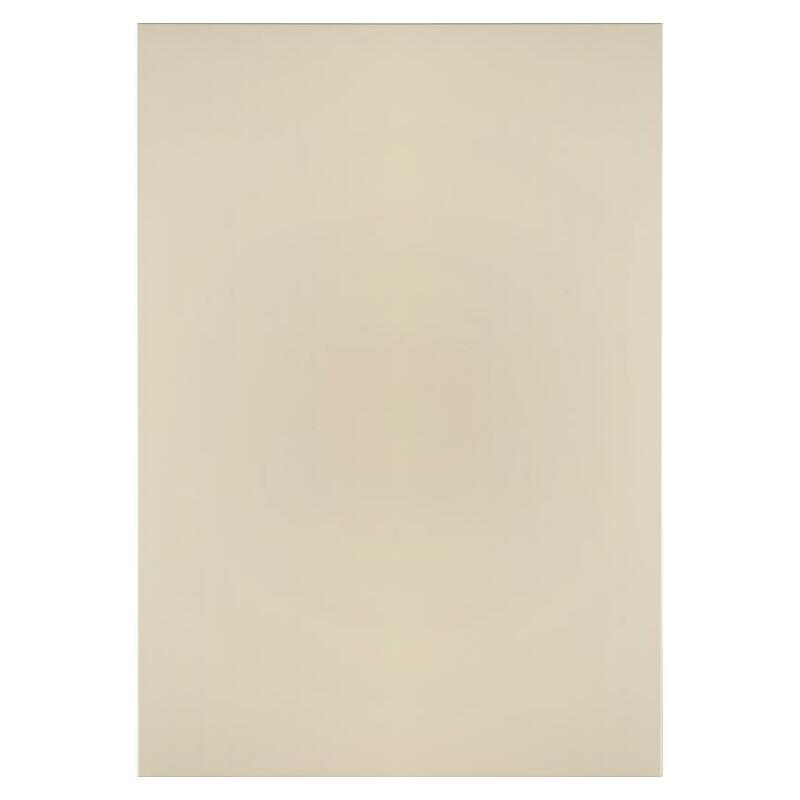 For a modern spin on the country kitchen look, choose this glossy cabinet door in the soft tone of ivory. 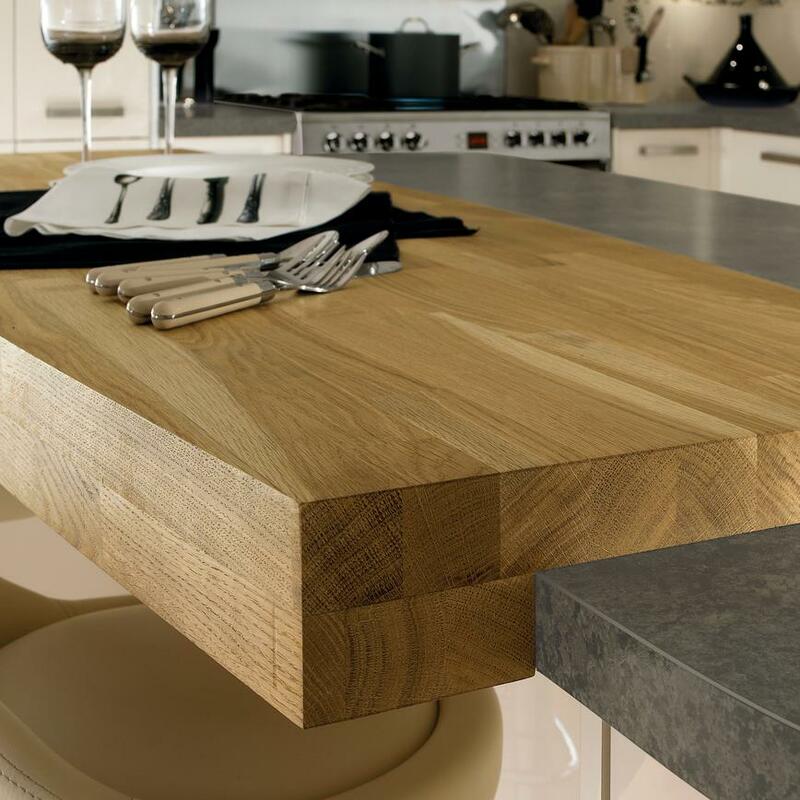 This 18mm-thick door has rounded corners for a premium finish. 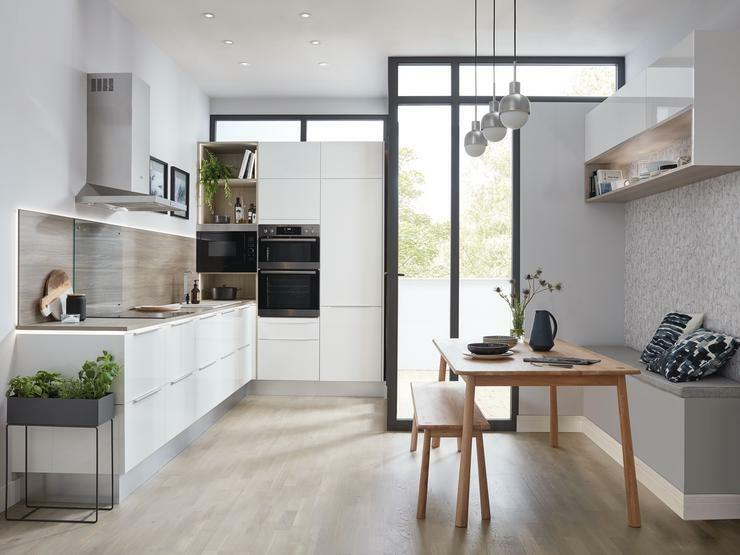 Its understated design is complemented by the neutral colour. 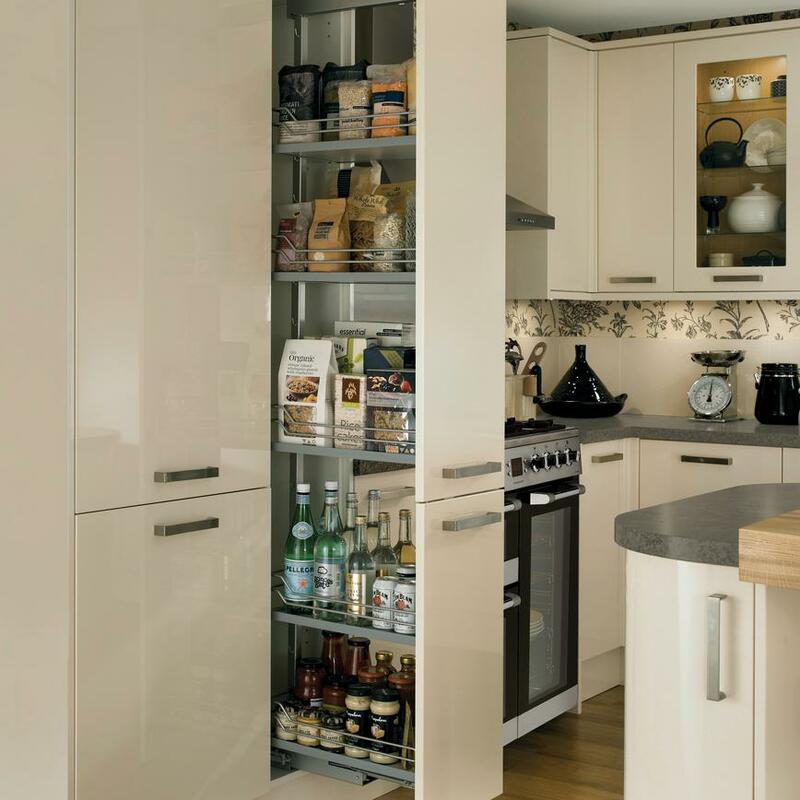 Cabinet options include pre-fitted pull out larders that make accessing ingredients quick and easy. 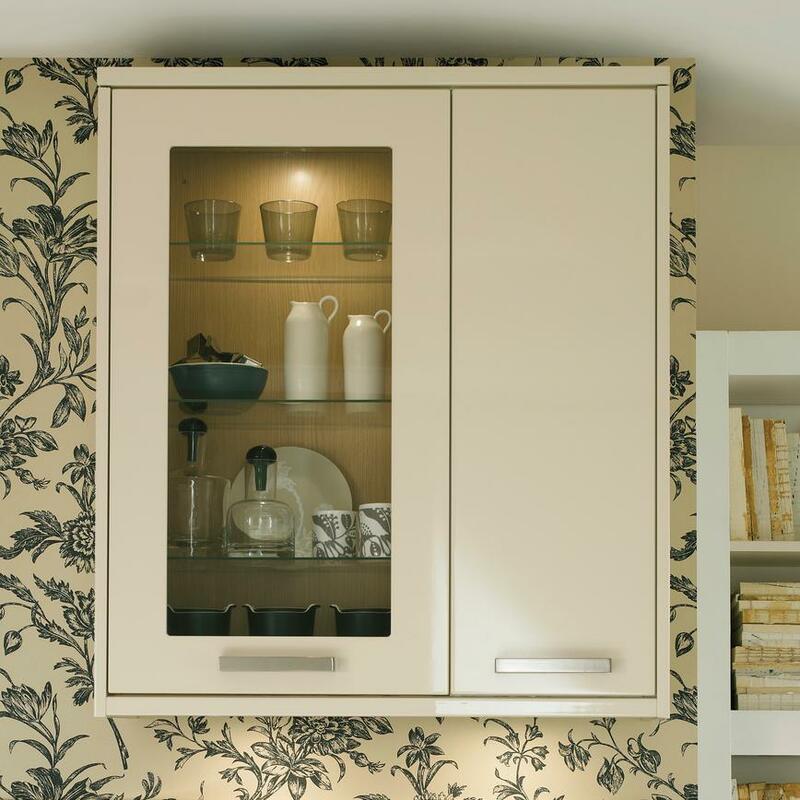 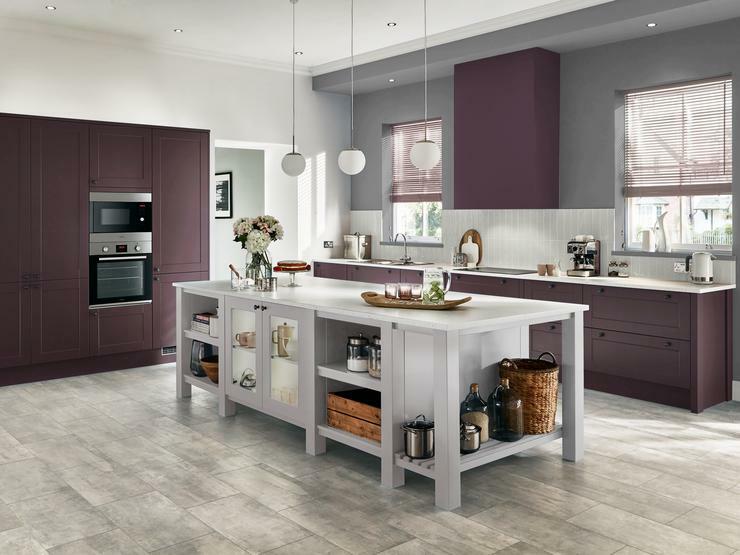 A natural stone grey worktop will contrast the ivory cabinet doors, creating a soft take on the monochrome trend. 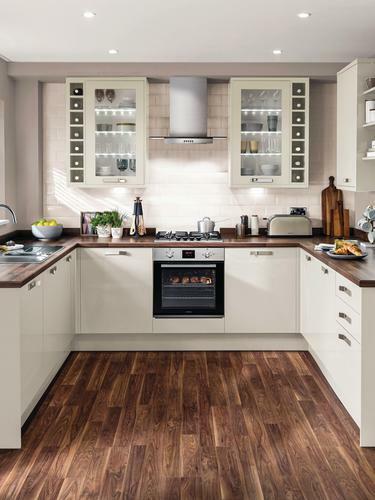 A range cooker adds heritage style, and provides plenty of cooking room. 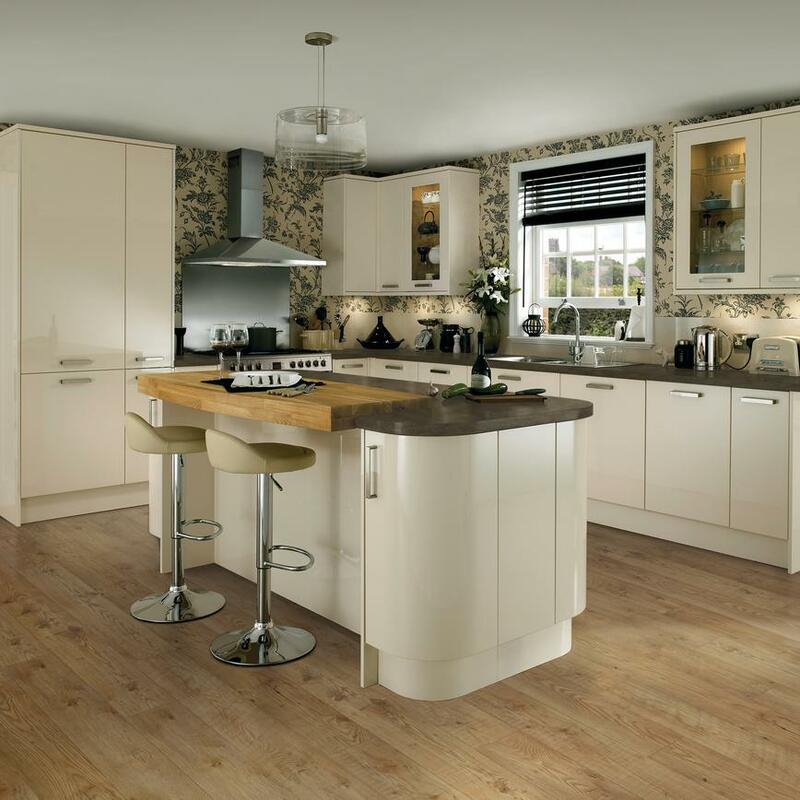 A combined island and breakfast bar offers extra work space and encourages guests to gather whilst the host cooks. 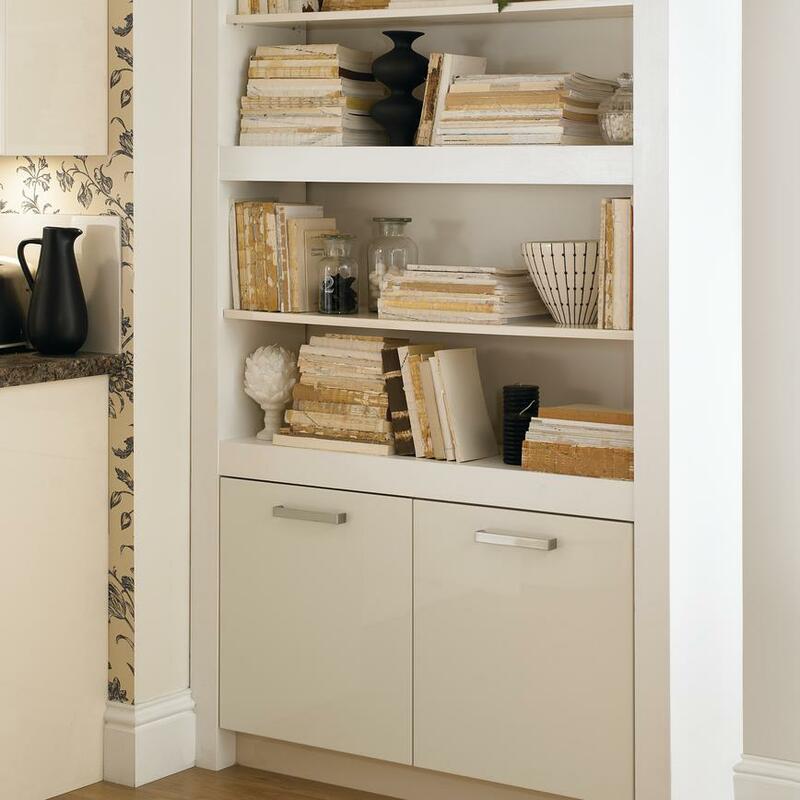 A builder can fit custom shelving using our base cabinets and decor ends to create a home for recipe books. 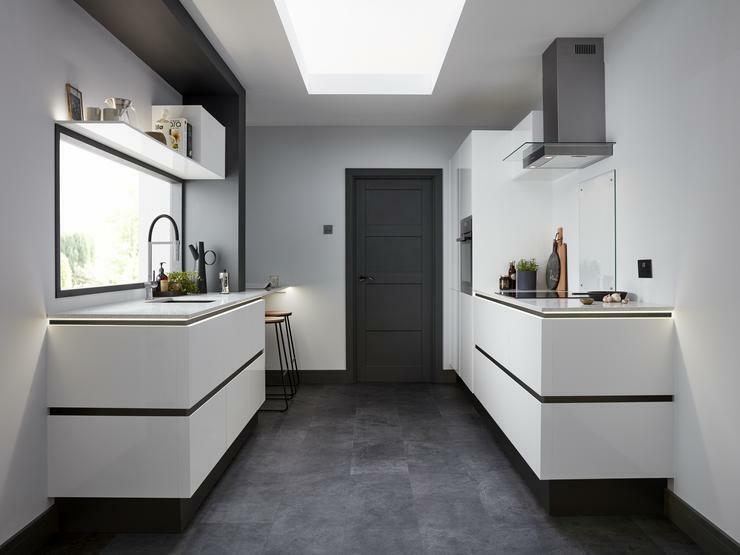 They can also add lighting beneath the wall units to illuminate the work surface.